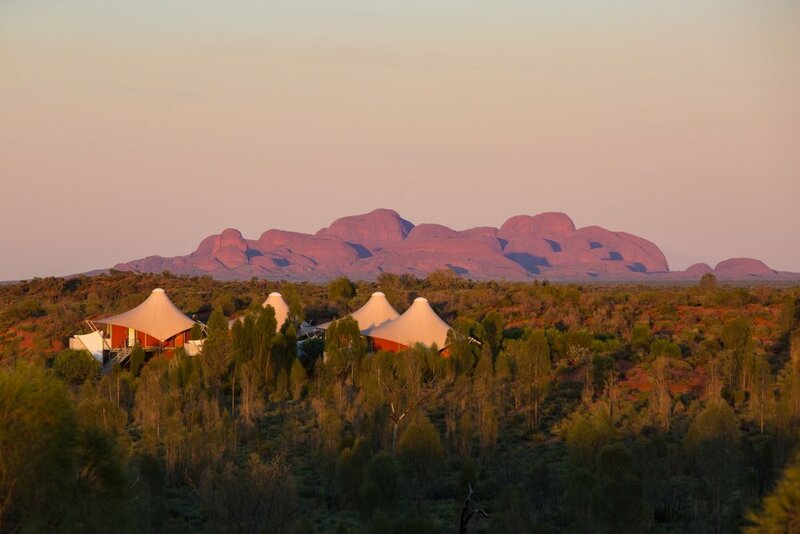 Australia's best tented camp comes with epic hikes and a heroic heritage. 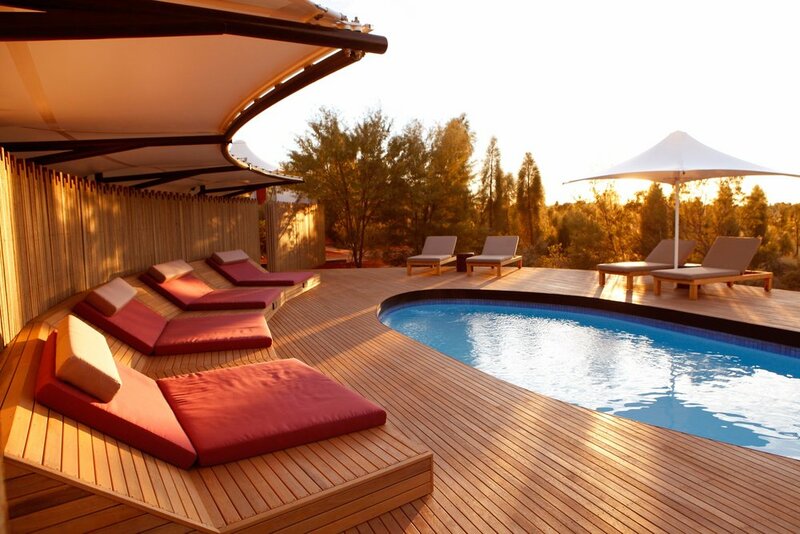 While we have quite a few epic base camps in Australia, Longitude 131 is our favorite one under canvas. 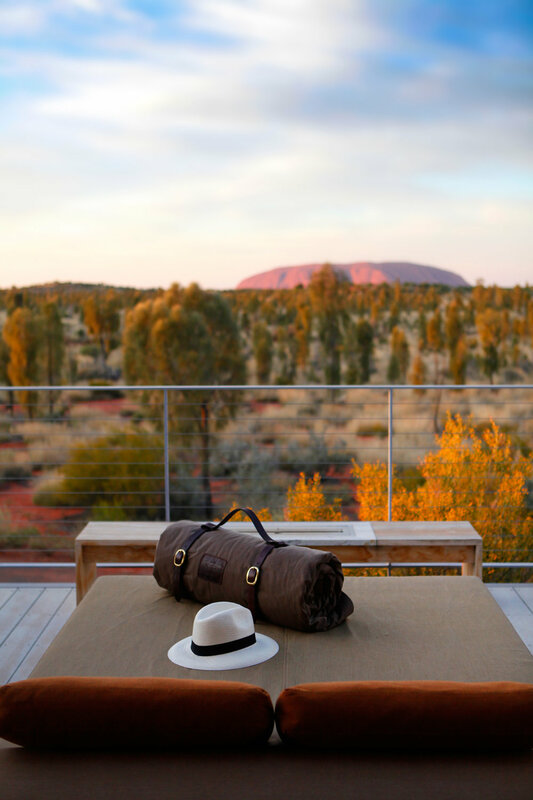 Tucked away in the bush beneath the imposing face of Uluru, or Ayers Rock, Longitude 131 takes its name from its location in Uluru-Kata Tjuta National Park. 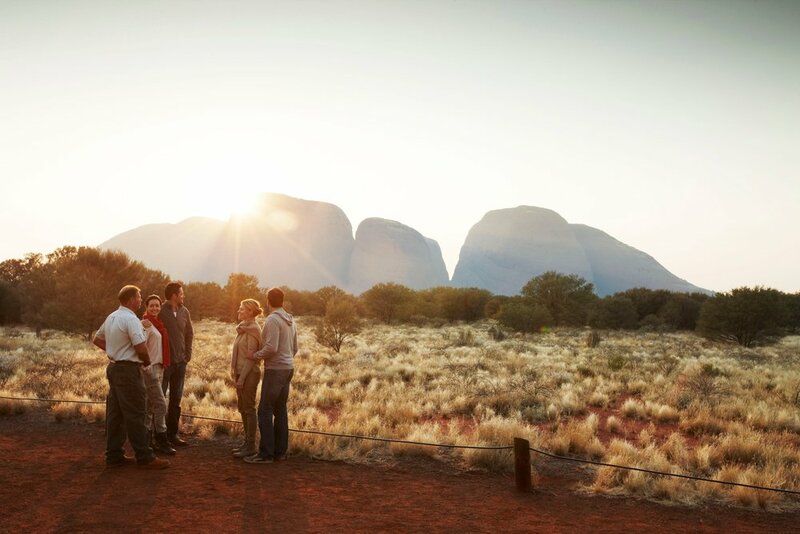 Immerse yourself in the landscape and surrounding history (Uluru is a sacred site for the local Anangu people) during your stay beneath the Australian sun. 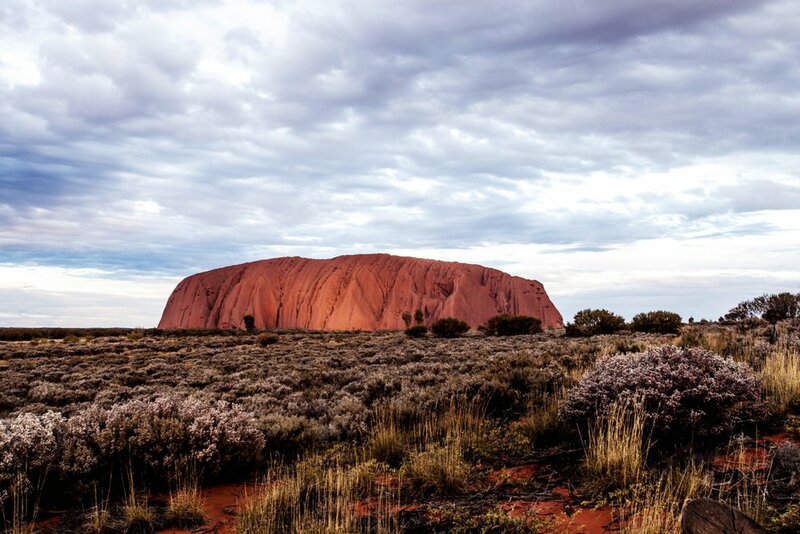 Whether you spend your time learning of the ancient stories of the traditional owners or exploring the stunning flora and fauna with expert guides, this is one trip Down Under that is quite simply unparalleled. 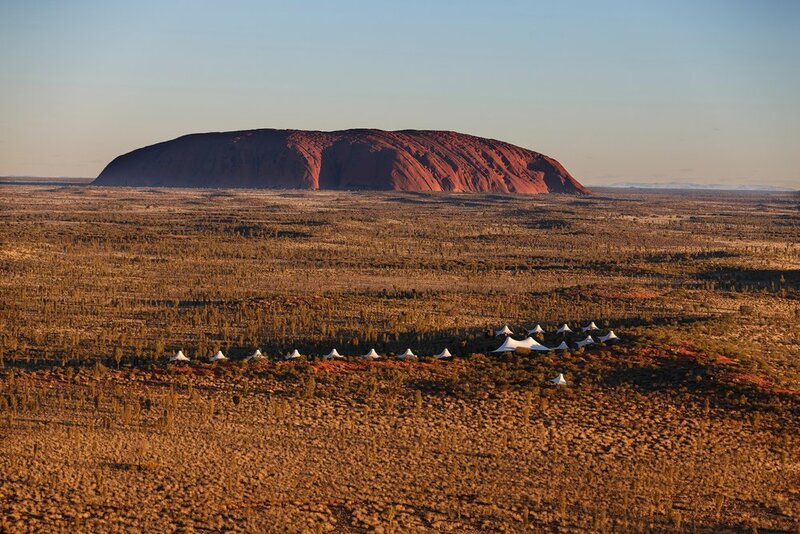 With rust-red sand dunes below, each of Longitude's canvas tents overlook Australia’s best-known natural icon, Uluru. 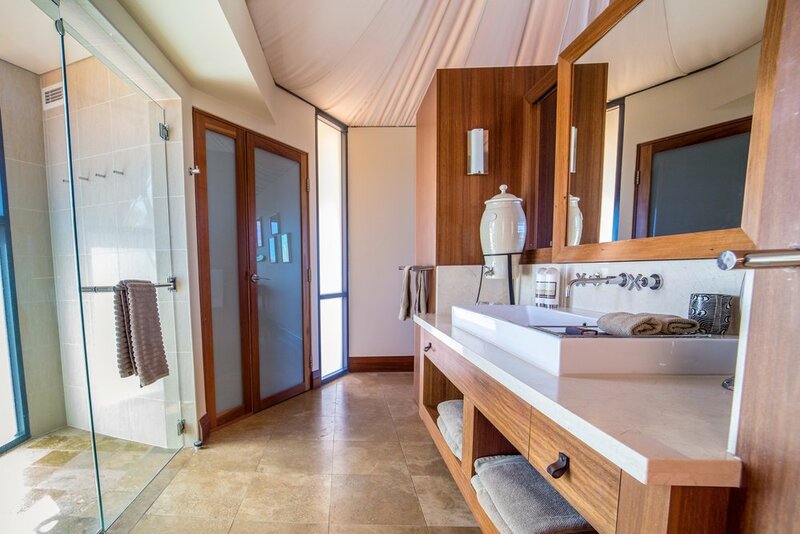 Soak up uninterrupted views of the natural landscape at any time of day from your own personal sanctuary. 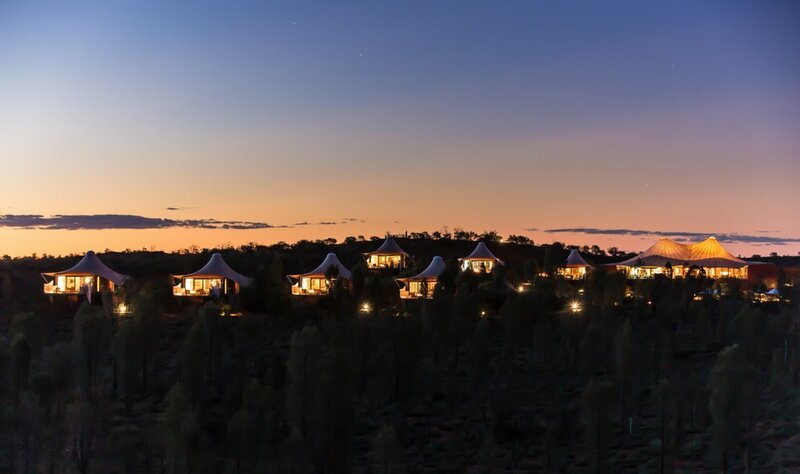 Peep over the foot of your bed in the morning to greet Uluru on the skyline, and after exploring all day find yourself lost in the immense starry night sky, cocktail in hand. 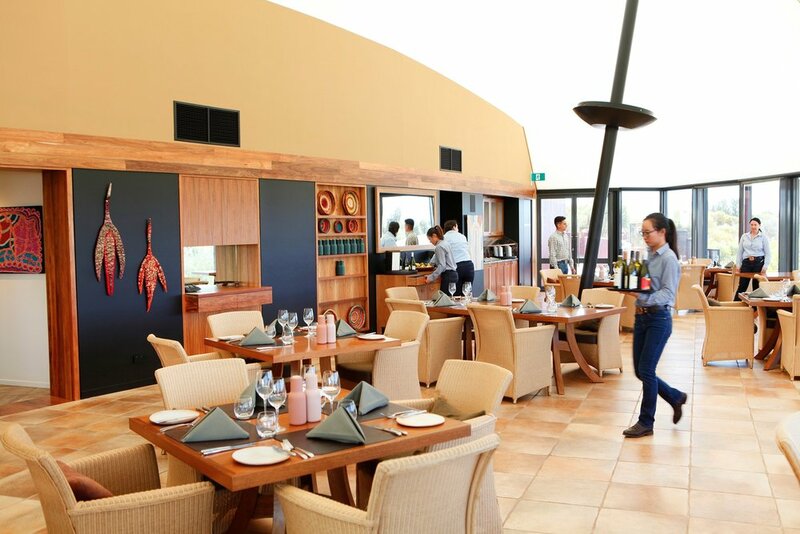 When you've had enough blissed-out solitude, the central meeting place is the Dune House, where you can sample indigenous and modern fare in the restaurant, and kick back with your fellow travelers exchanging stories from the day's adventures in the outback. The Australian Outback is a vast place rarely explored. During your stay at Longitude 131, hikes are the best way to immerse yourself in the terrain. 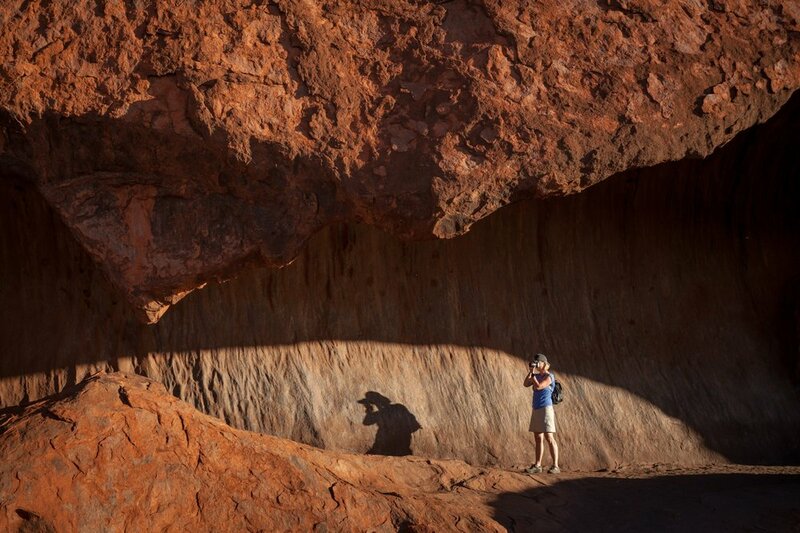 Kick off a day with a sunrise trek at Walpa Gorge or Mutitjulu Waterhole. At both locations, you'll have the opportunity to capture the breathtaking landscape in beautiful morning light and learn more about the geology and cultural history of the place—all before breakfast. 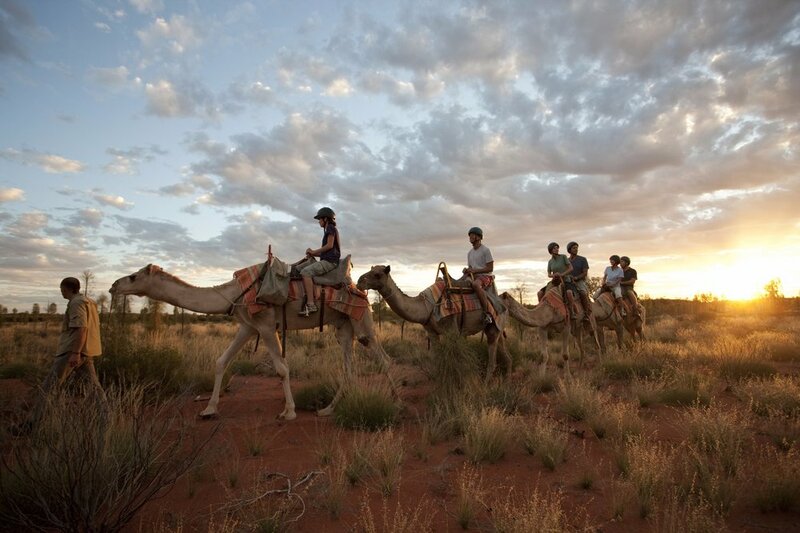 Save your feet by taking a camel ride that afternoon, and then just before sunset depart for a final hike at Kantju Gorge. Your stellar guides will explain World Heritage values, geology, and what tourism means for the region. Colors of the sunset will play off the sandstone walls in a gorgeous display, reminiscent of the American Southwest but made infinitely more special by the fact that there's no one else for miles. 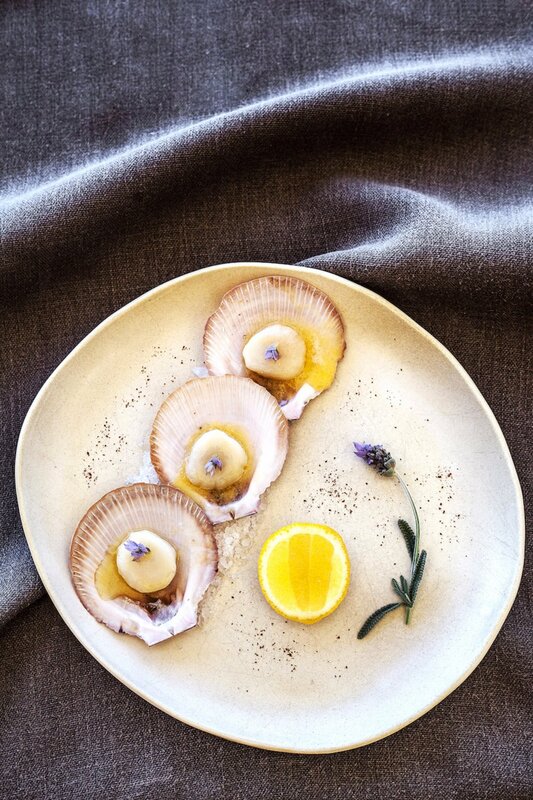 "Whether you spend your time learning of the ancient stories of the traditional owners or exploring the stunning flora and fauna with expert guides, this is one trip Down Under that is quite simply unparalleled."